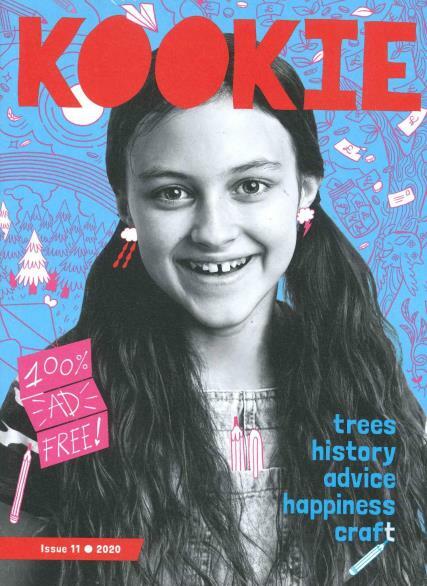 KOOKIE is a girl-powered magazine that is perfect for those aged between 7 and12. KOOKIE magazine is a platform that allows girls to find themselves. This is achieved by featuring strong capable individuals who have a message of positivity that needs to be spread. The magazine is packed with stories that build up a girl’s confidence, by teaching them skills that expand their horizons. We still live in a world where there’s only one way to be a girl and that’s in pink. However, KOOKIE actual provides a genuine alternative to that narrative. Buy a single copy or subscription to KOOKIE magazine. KOOKIE is completely Ad free and is released four times a year. No matter if they are interested in science, sport, astronomy or hip hop there will always be content that will hold the attention. The purpose of the magazine is to promote young girls' self-esteem. Throughout the magazine, there are a number of interviews with strong female role models. All are remarkable women and girls from around the world with an incredible story. There are also many arts and craft projects they can take part in. As well as debates and discussion centred around key areas that need to be approached sensitively. The only magazine a pre-teen could need, as the content is deliberately targeted to be really interesting for them. I bought this for my daughter It's great andI like that there are no ads. My daughter loves it.